Might Not? : Is There A Problem Here? : Might Not? Might not? Out of paper? Out of ink? Paper jam? 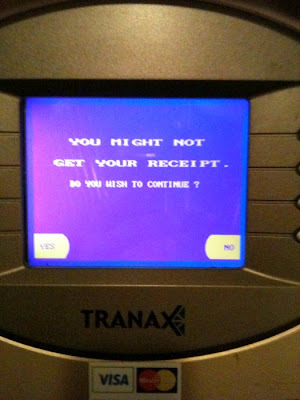 Is it more likely to print a receipt or not?